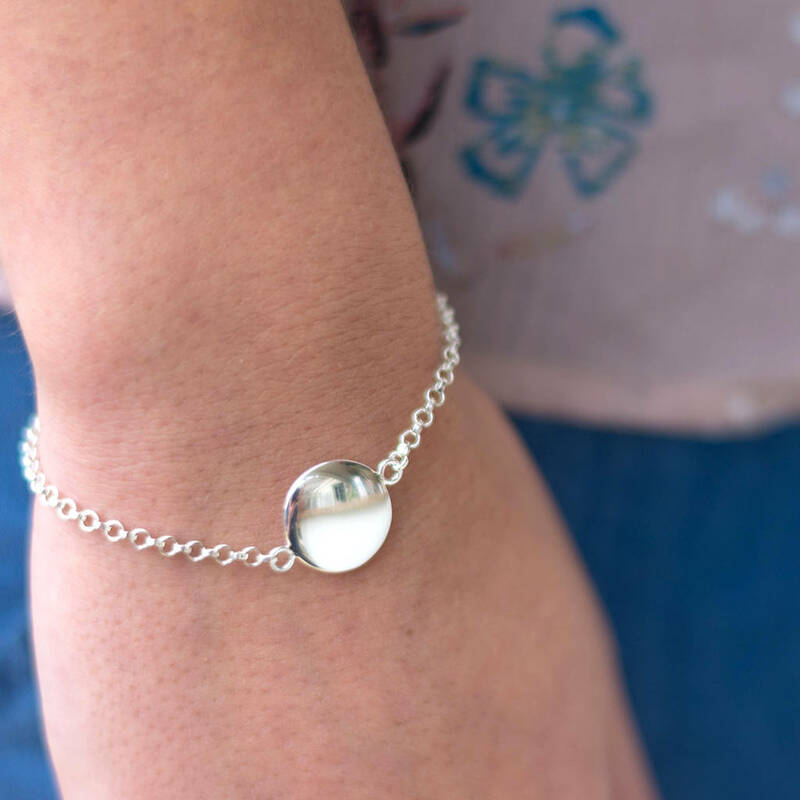 A lovely solid silver bracelet with a nice thick silver pebble charm for engraving. This bracelet is suitable for young girls and women alike, as it can be adjusted in length using the links at the end of the chain. 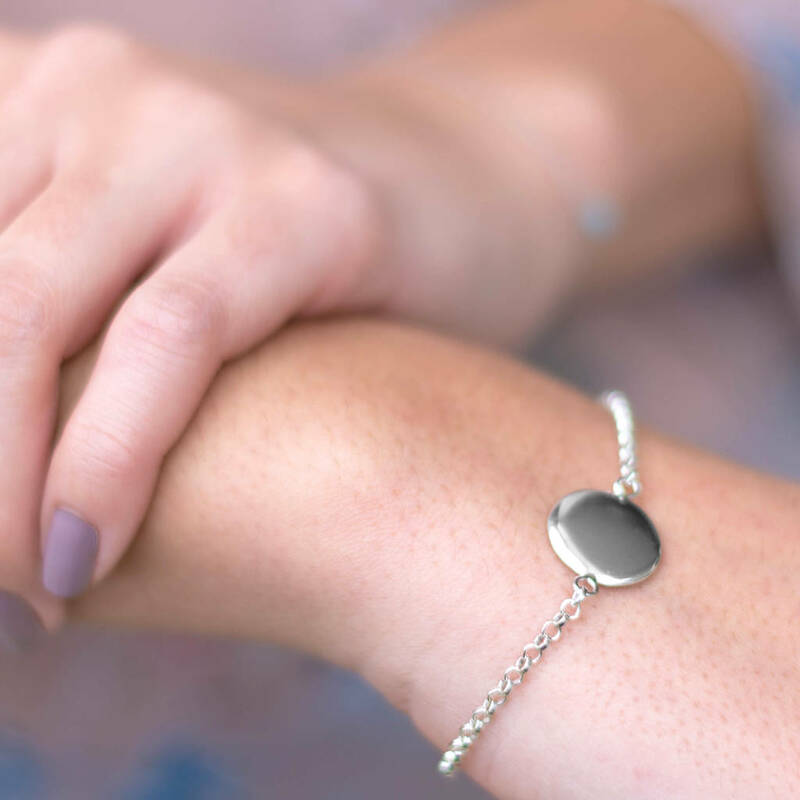 The pebble is reversable, so the bracelet can be used as an ID bracelet, with a message on the back, or left plain on one side. 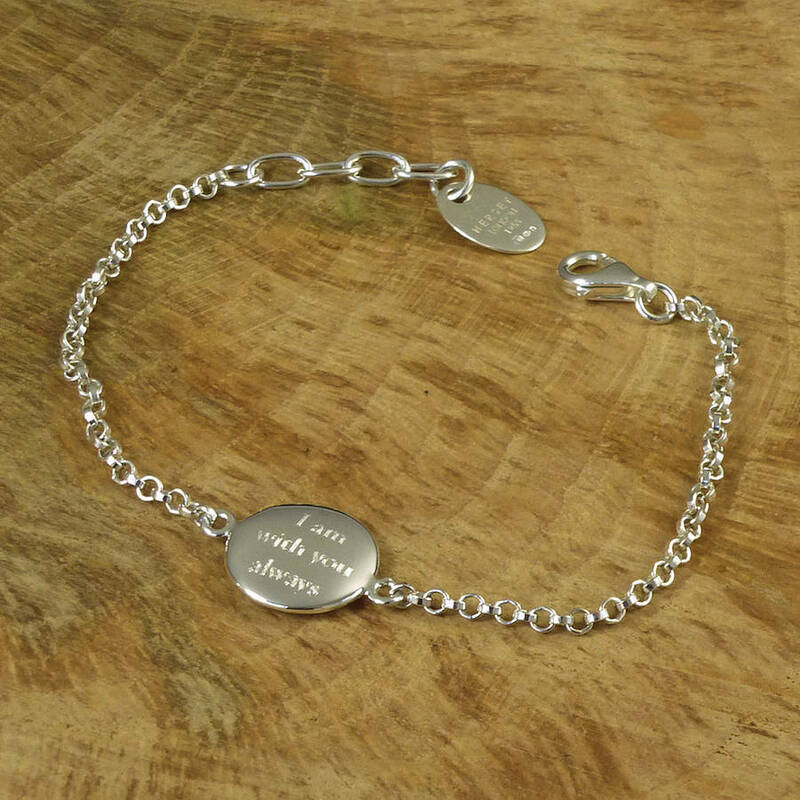 We can engrave the charm with names and dates, or a message, either on one side or on both. 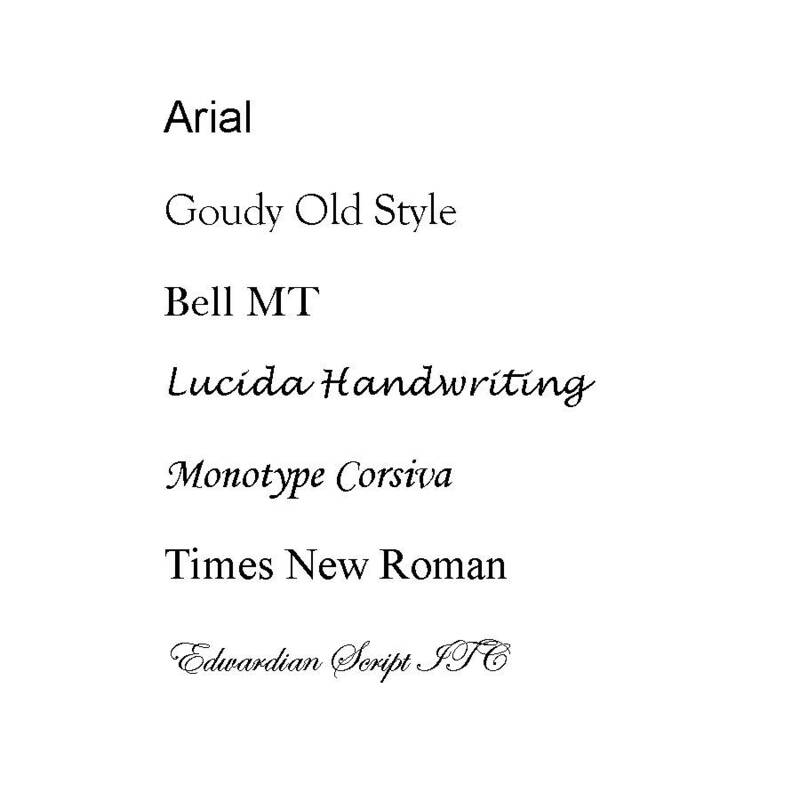 Please choose your font from the drop down menu. The bracelet measures 17cm in length going up to 19cm when fully extended. The solid silver pebble charm is 15mm in diameter and 2mm thick. 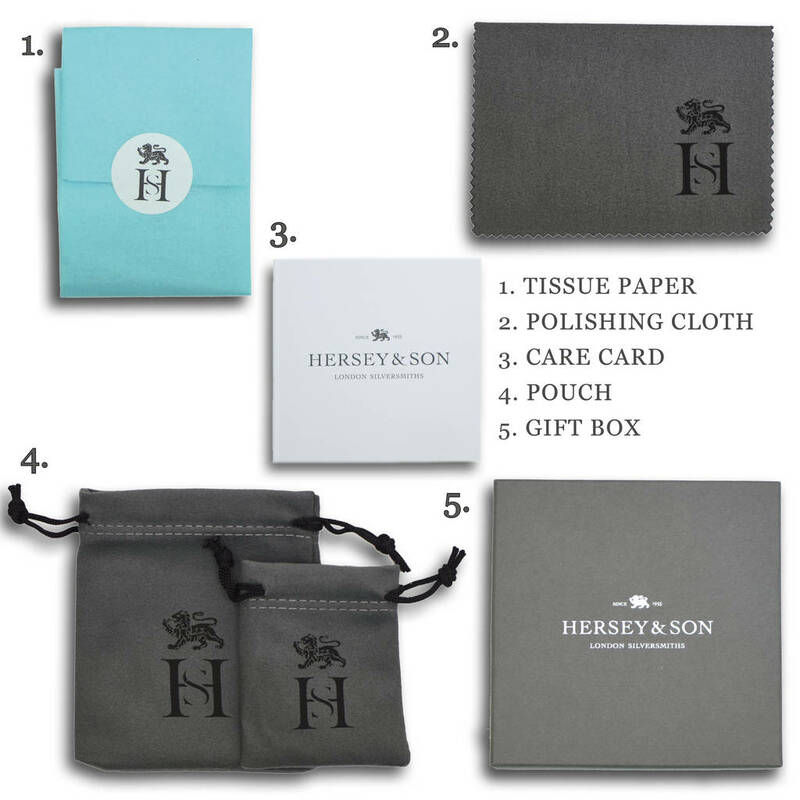 This product is dispatched to you by Hersey Silversmiths.